Home / Volunteer in Payson, AZ. BECOME A MEMBER of the Northern Gila County Historical Society! By becoming a member of NGCHS you will enjoy the following benefits…. Free admission to the Rim Country Museum (RCM), and the Zane Grey Cabin. Two complimentary guest visits to each museum facility. Free Historical Society newsletter subscription. 10% discount in the museum gift shops; no state sales tax. Free access to videos and publications in our libraries at Rim Country Museum. Advanced notice of special events. Members also receive 10% discount on purchases in all six museum gift shops!! Members of the six museums will receive a Partnership card listing all six museums and entitling the bearer to free admission and the discount. THE MUSEUM NEEDS YOU TO VOLUNTEER TODAY! 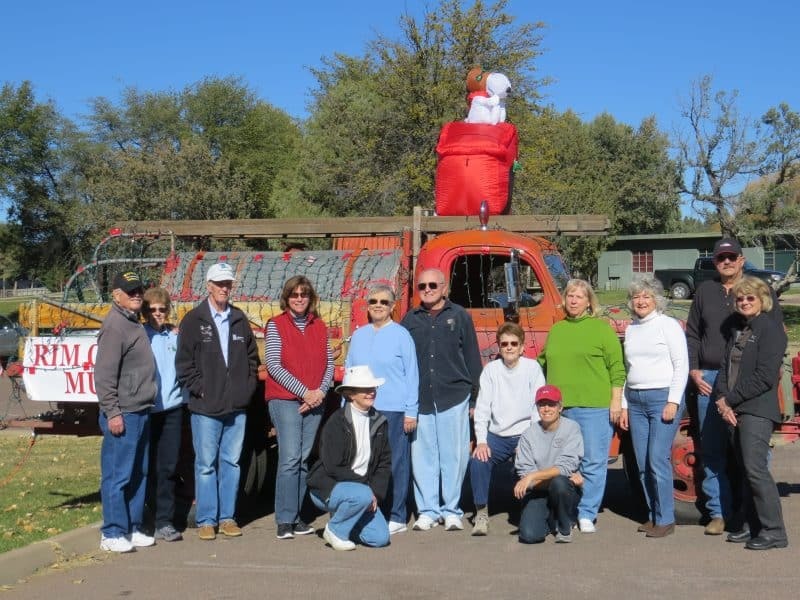 The Rim Country Museum & Zane Grey Cabin rely on the dedication and commitment of Volunteers to operate. If you like history and would like to get involved in your community, volunteer at the Rim Country Museum today. We are looking for people willing to give 3 hours of their time a week, or every 2 weeks, to give tours or work in the gift shop. No prior knowledge is needed, just enthusiasm! As a volunteer you can be a docent, work in the gift shop or pursue other volunteer options depending on your talents and interests. Benefits include ~ discounts in the Gift Shop and the knowledge that you are helping to keep Rim Country history alive! Contact the museum at 928-474-3483, come by the museum to talk with a volunteer, or come to our Volunteer Meetings — we’d love to have you join us!